Daughters are a special breed, in some ways soft and gentle, in other ways strong and powerful. It is that perfect combination that makes them so dear to all of us. 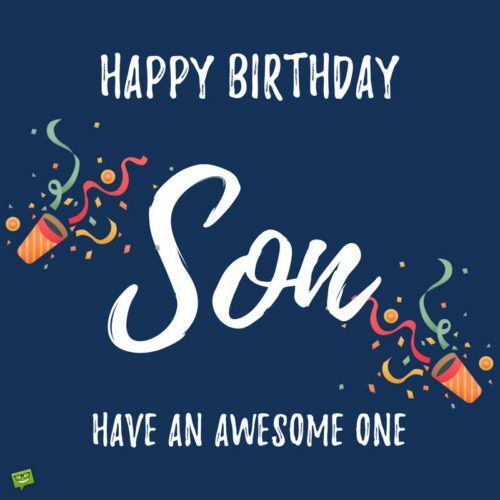 While birthdays with your little girl are most often filled with presents, outtings, and favorite meals, the importance of the birthday card greeting cannot be understated. These will be cherished memories that she may save for years to come. And, if she is not quite old enough yet, you can start her collection yourself with this birthday. Knowing how much she means to you is something that will boost her confidence in herself forever. The love of parents is so important to a girl’s and woman’s development. 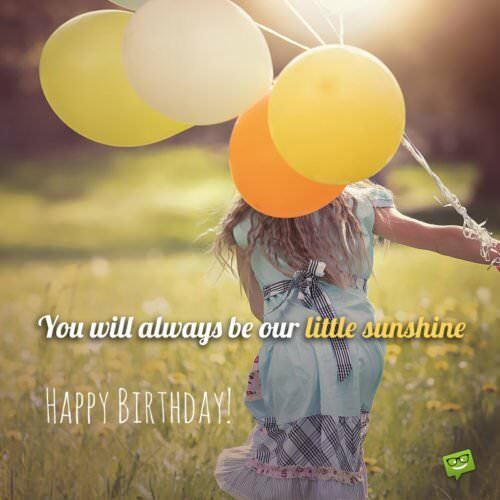 Take a look at the sample greetings below and find the one that fits you and your daughter perfectly. From her birthday as a toddler through being a grown woman, you are sure to find something useful and unique that is perfect for this day. Happy birthday to the best tomboy around. From dresses to sports, you’ve got it covered. You are amazing! Your smile lights up a room and your thoughtfulness lights up our hearts. May you be continually blessed in all you do and forever be a blessing to others. Happy birthday to our dear girl! Happy Birthday to the kindest and most beautiful daughter the world could ever know. Awesome is just one small word to describe how amazing you are each day. Happy birthday! Beautiful, compassionate, and driven. These three words embody just a small portion of who you are and continue to be. We love you very much! Happy birthday! Praise to the heavens for what an amazing daughter we have in you! Happy birthday, sweetheart! Even if I had designed exactly what traits I thought I wanted in a daughter, I could not have even come close to the awe-inspiring qualities that I see in you. The most beautiful part of you is how you follow your dreams at all times. Happy birthday to such an amazing daughter! The world’s greatest wonders cannot compare to the beauty found inside your soul. You are a work of art and our proudest creation. Happy birthday, sweet daughter! Each year with you is better than the last, seemingly hard to beat but always attained. Happy birthday, sweetheart! Your beauty is amazing, but it also has nothing on your brains. You are perfect in just about every way, my dear, and we want you to always remember how special you are to us. Never think otherwise. Happy birthday to our favorite girl! Here’s to our daughter who runs marathons, rides jet skis every weekend, and knows just how to have a good time no matter who is around. You are amazing to us and everyone who meets you. Happy birthday! There are few words that express how much we care for you and appreciate your presence in our lives. Happy birthday, dear daughter! For your birthday, I bought you a double chocolate cake and fudge ice cream, just like you like! Your birthdays are always the best celebrations. Happy birthday, daughter! Queen for a day, special for a lifetime. You have always had a special way of making others feel loved, even when it is your own birthday. Thank you for that. Happy birthday to the best daughter around! 5…4…3…2…1! It’s celebration time! Happy birthday, sweetheart! You know how much you have changed over the years? You will if you check my Facebook profile (where I have posted all of your embarrassing childhood pictures). That is my amazing birthday gift to you, dear daughter. Happy birthday! Don’t pay heed to the world if they call you ugly and stupid. They are right but don’t pay heed to them. We love you nevertheless. Happy birthday, sweetheart. Happy birthday, my love. Oh, and I know about your plans for booze party. Sadly, those plans are canceled, effective immediately. Happy birthday once again, sweet pea. Seeing you so beautiful and confident today almost reminds of the time when you were a bald creature with a running nose and bad digestion. But, let bygones be bygones. You have a better nose (but sadly, sad stomach) today, so it’s an improvement. Happy birthday, dear daughter. You know what is the best part about having you as a daughter? I don’t have to spend money on costume on Halloween!! Okay, just kidding (or not!). Happy birthday, my dear. Have a great day ahead. Remember how I always used to joke about you being adopted? It turns out, my jokes tend to get real. But not this one, so don’t panic! Forgive my bad humor (now I know what you inherited from me), and enjoy your day. Happy birthday, sweetheart. Happy Birthday, daughter! Love you more than words can say. Little girls are our princesses or even our future successful women. Wishing them Happy Birthday can cover this amazing distance from the experience of a fairytale to the aspirations for tomorrow. Girls can enjoy either part according to their age & style, so choose accordingly! Take a look! You are 1 year old today! I can see great things happening in your future. Happy birthday! 10 already? My, how you’ve grown! Before we know it, you will be going away to college. How has the time passed so fast? No matter how fast it goes, I am enjoying every minute with you. Happy birthday, sweetheart! Happy Birthday, princess! It’s your special day today! Today we’re holding a party. 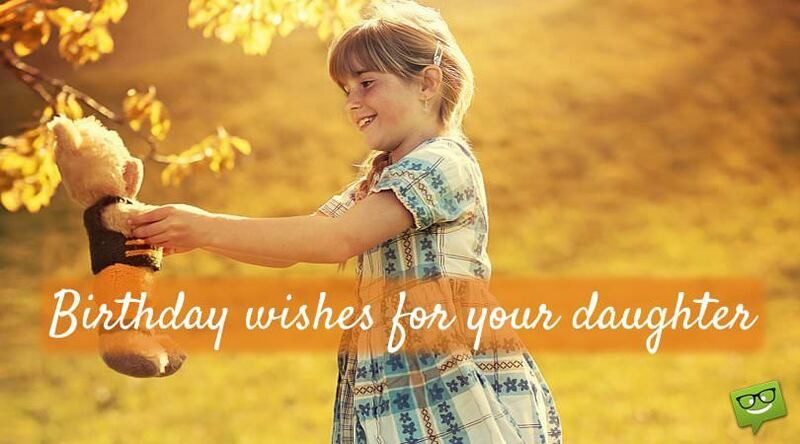 You’ll blow your birthday candles & make a wish, so wish well! Happy Birthday, darling! My sweet girl, you’ve got various reasons to be happy every day, but today there is one more! Happy Birthday! You probably don’t know this, but today is your birthday. It is the day you came into our lives and made everything so much better. Happy birthday, my lovely daughter. May you maintain that magnificent smile of yours forever. It is another year since you arrived in my life and made it brighter than the sun. I cannot thank you enough for being the best thing that has ever happened to me. Hope you get all the happiness this worked has to offer. Happy birthday, my princess. You are more beautiful than the most exquisite flower and gentler than the first dew of morning. You have been the lifeline ever since you came into my life. I can only wish you remain this innocent forever. Wishing you a very happy birthday, my darling. The first time you said “daddy”, the first time you stood on your little feet and the first time you smiled at me; it was a joy like Jo other that exists in this world. Thank you for all of this. Happy birthday, sweetheart. You might be wondering, what everyone is so excited about today? Well, today is the day when an angel came from the sky and gifted you to us. So, we are celebrating that lucky day. Happy birthday to the best daughter in the world. You don’t understand what’s so special about today, so don’t worry. Just enjoy the unwanted attention and the desired gifts, while everyone treats you like the princess you are. Happy birthday, baby. This birthday marks the beginning of your teen life. It will be confusing, difficult and weird. But I know you will enjoy it and make the most out it, smart as you are. Hope you have wonderful years ahead. Happy birthday, princess. It seems like only yesterday that you were a bald, beautiful creature that had just arrived into our lives. Now, you have transformed into a beautiful girl who spreads joy in her wake. I wish this transformation only keeps getting better. Happy birthday, honey. I always wished for a daughter, someone who could brighten up my dull life like nothing else could. You have been better than my wildest imaginations. 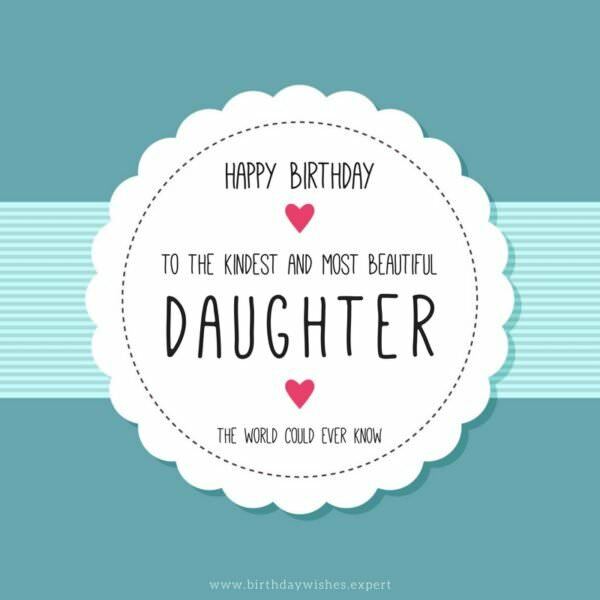 On your special day, all I can offer you is my gratitude for being such an amazing daughter. Happy birthday, sweetheart. Forgive me, for I am a little sad today. From this day onwards, you are no longer the little girl whom I could keep safe in my small world. The real world is big and not so beautiful. But you are strong, and I have complete faith in you. Happy birthday, my daughter. So today is another year in your life, when you grow older and more mature. Perhaps you might confused too, or feel lost sometimes. But I will always be there for you, I promise. Happy birthday, princess. The world might see you as my stepdaughter, but you and I know that you are more than just a stepdaughter to me. You are like my real daughter and best friend. I wish you a very happy birthday, sweetie. Despite not being fortunate to have given birth to you, I take solace in the fact that I’m blessed with the opportunity to love you and keep you in my heart until the end of time. 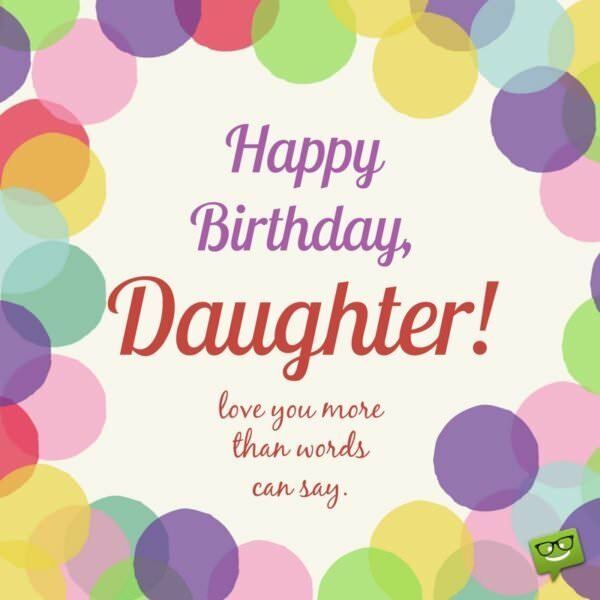 I hope you have a fabulous birthday, dear daughter. I couldn’t have asked for a better daughter! And I thank God for putting such a wonderful person like you in my life. God bless you, my dear, and do have a very beautiful birthday celebration. I love you. 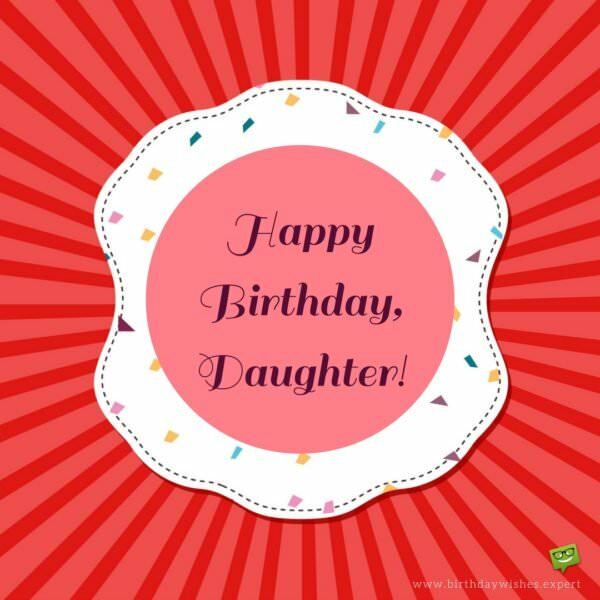 On your birthday, I want to thank you for being such a wonderful stepdaughter to me. Thank you for being the glue that constantly holds your mom and me together. Happy birthday, my dear. I hope all your birthday wishes come true and fill your heart with everlasting happiness. Dear stepdaughter, I might not have carried you nine months in my womb, but I love you just like you’re my own blood. Thank you for being such a wonderful daughter to me. May God always put a smile on that beautiful face of yours. Happy birthday. On this special day, I hope that all your dreams, desires and wishes come true. May you always be happy. Happy birthday, daughter. You’re such an adorable and sweet daughter. May your birthday be filled with nothing but pure joy, laughter and happiness. Happy birthday. And know that I will always I love you. On your birthday, I just want to let you know how much I cherish your presence in my life. May all your dreams and goals always be within your reach. Have a happy birthday, my beautiful daughter. I may not say it very often, but I love you more than life itself. I wish for happiness to always reside in your heart. You’re such a precious gift to me. 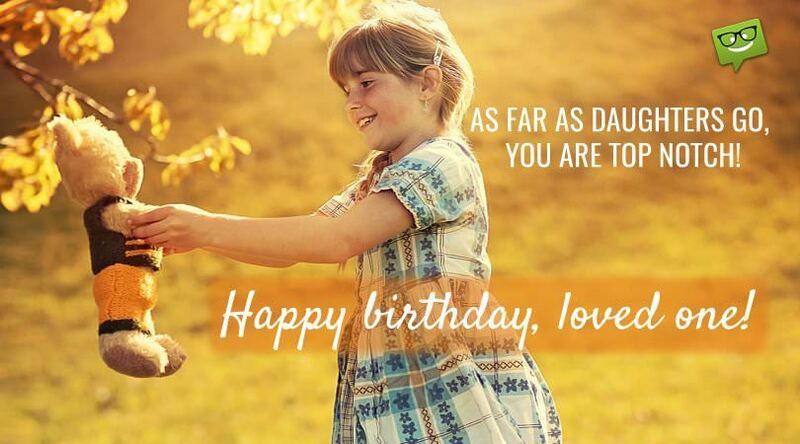 Have a fabulous birthday, my sweet daughter. It seems almost impossible that you are turning 18 and will soon be making your mark on this world. There are endless possibilities and paths to choose in life. Along the way, we want you to remember how special you are already and that any decisions are to be made out of love for others and compassion for nature. You are the rarest of beauties who is sure to change this world for the better. We love you. Happy birthday, darling! Happy birthday to my dear daughter who has now become a mother herself. Hopefully, I did a few things right that you can pass on to my grandchildren and teach them the best of this world. No matter how old we get, you are still our little girl, even now when you are turning 35. You will always be cherished and deeply loved. Happy birthday, dear one! Seeing you turning into a woman has been a miracle I was lucky to witness. Happy Birthday, honey! From a girl to woman is one of the best trips you might have found yourself in! I saw you transforming from a little infant to a beautiful girl, and finally into a wonderful woman. It seems like wine, you only keep getting better with time. As your parent, I am as proud of you as someone can ever be of anyone. Happy birthday, princess. When the world doubted your capabilities because you are a woman, you worked twice as hard to prove them wrong. I think you achieved that stubbornness from me, and I could not be more proud. Happy birthday, my wonderful daughter. It seems like only yesterday when you were a crying baby, screaming her lungs out. Today, you have turned into an amazing woman who does not need her daddy anymore for the decisions in her life. But your daddy will always be there for you, whether you want it or not. Happy birthday, my wonderful girl. You have been to me what neither a son nor any other daughter could have been; you were simply special and unique. On your special day, I wish that you keep getting more magnificent each day. Happy birthday! You have been what any parent could dream of- a strong, confident child and a marvelous human being. There is nothing more I could wish for you, except eternal happiness. Happy birthday, my darling. There were times when I thought you are not strong enough to face the hardships of the world, that you might fall short of the challenges life offer. Forgive me now, cos you always proved me wrong. Thank you for being so wonderful and amazing. Happy birthday, lovely daughter. Happy birthday to the best daughter ever! Today is your big day, and my prayer for you today is that the Heavens always remember you and bless you beyond measure. Have a beautiful birthday. 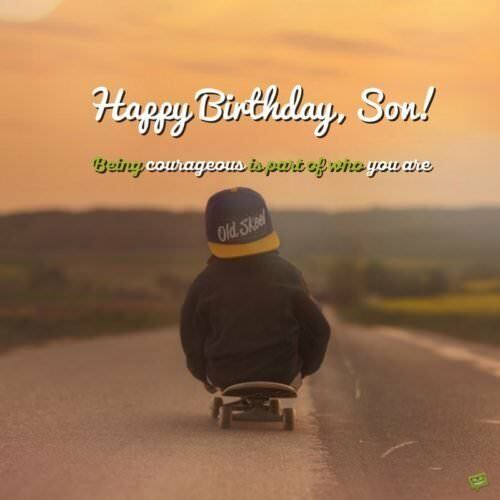 As you celebrate the day you were born into this world, may God always guide your footsteps towards happiness. May you prosper in all things you do. Have a fantastic birthday, my dear. Daughter, you are our greatest joy in this life. We pray that all your dreams and aspirations not only come true but also bring you happiness that will accompany you until the end of time. Happy birthday, princess. We love you so much! Now that you have reviewed the above sentiments, you are surely in the mood to express your love and admiration for your special daughter. Take a few moments to write it in a card or text it to her phone. She will more than appreciate your thoughtfulness!